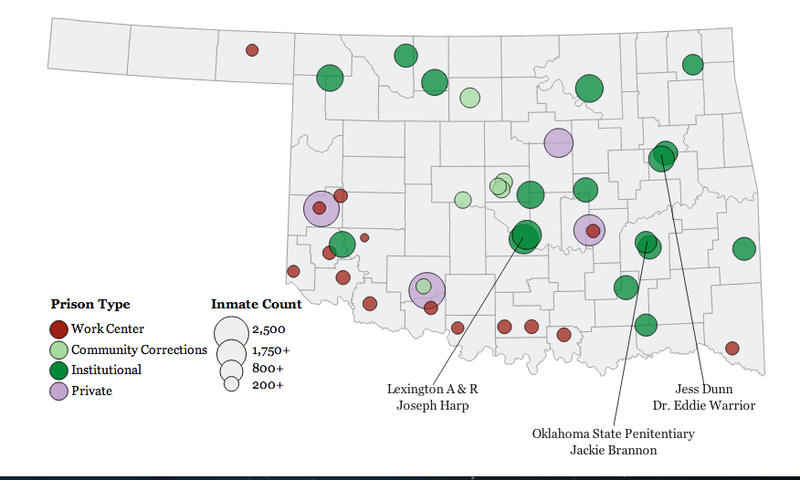 The interactive map below shows nearly 40 of Oklahoma’s correctional facilities, including its prison-type institutions, work centers and community centers, plus four private prisons that house out-of-state or Oklahoma inmates or both. Place your cursor on each to see details. Two private prisons, in Hinton and Watonga, have been closed and aren’t shown. County jails also hold inmates for the state and are paid on a per-diem basis. Eight halfway houses, also not shown, are located in Oklahoma City, Tulsa and Ponca City.